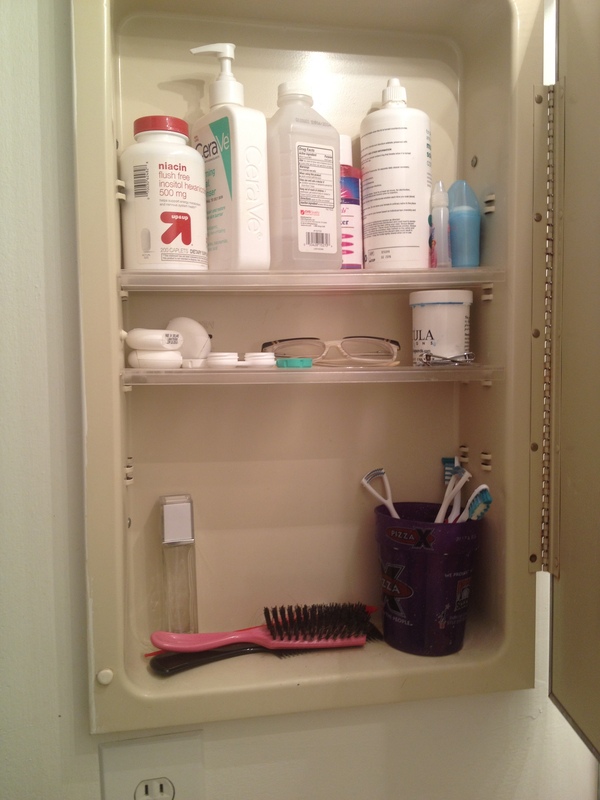 Last year, I wrote about how I went about decluttering my bathroom cabinet. I did a pretty solid job of organizing (and yes, getting rid of things), but I didn’t truly streamline or minimize my toiletries and bathroom sundries. Probably because I was working on getting married instead of moving across the country. But this time, it’s for real. And not only is it real, it’s real bad. For someone who claims to be a minimalist, toting this amount of toiletries anywhere should be, quite frankly, embarrassing. But for anyone aspiring to simplify or minimize, the most important thing is to remember that it’s a journey! I shouldn’t be ashamed of where I’m at, because I’ve come so far already. Frame every part of this journey with positivity, and your momentum will be far greater. Here is what has been lying in the cabinet, waiting in the shadows to torment me a week before a move. Looks like it could have come straight from an I Spy, right? Yes. So I’m going to go through and toss/donate/rehome things again! This time with the mindset that I will only be taking a small bag of toiletries in the car with me. I’ll repurchase anything that is absolutely necessary, but next time around I’ll be able to be a lot more conscious about what comes in to and goes out of my home. 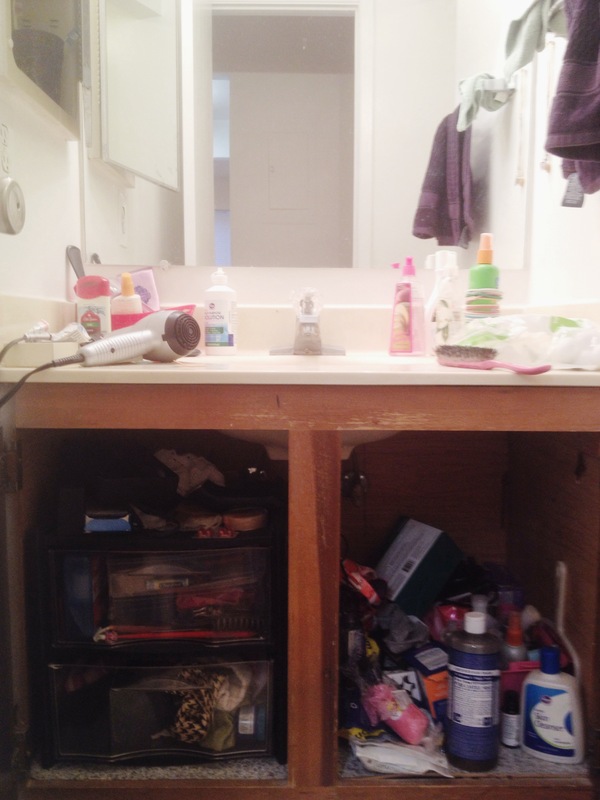 If you’re not moving but have a bathroom filled to the brim, it might even be a good idea to start completely over, too, so that you only ever have what you absolutely need and use regularly. Just my two cents. Note the general rule of thumb: if it’s super necessary, I keep two for myself in case I need backup, but for the most part one of each thing is preferable. I’m nixing the hair straightener and blow dryer, because I don’t use them often enough to keep them around. Especially now that I’ve cut my hair into a short pixie cut (in a future post, I’ll talk about how I cut my own hair). That means I need very few products and hair accessories, which is awesome. Yikes, now that it’s nearly empty this cabinet is actually pretty gross looking. What a day. 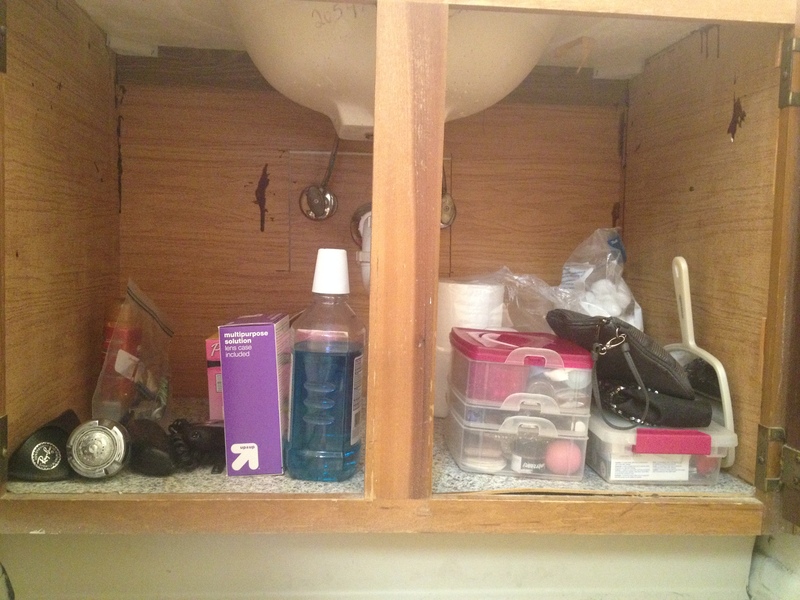 What are your bathroom must-haves? 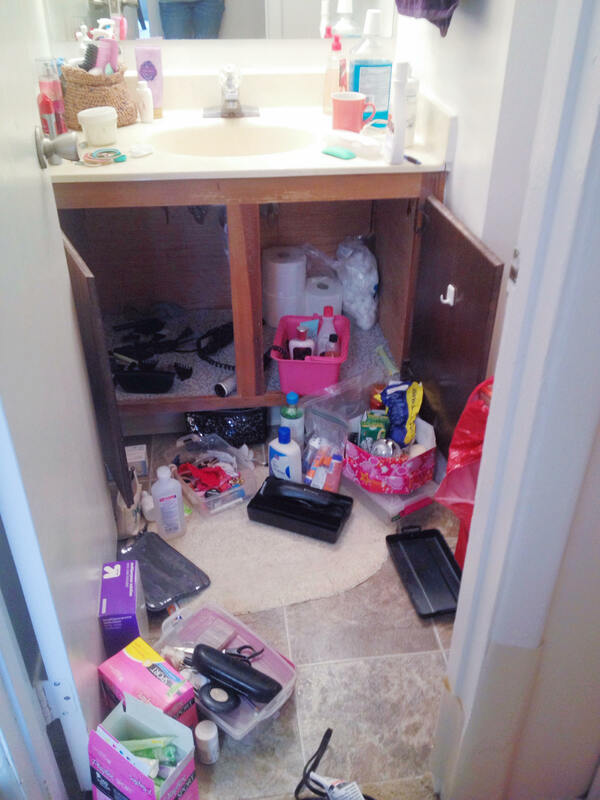 This entry was posted in Home, Minimalism and tagged apartment living, get rid of stuff, minimalism, moving, simplify. Bookmark the permalink.